I make these mainly for my husband who likes to stash em in little ziplocs for easy grab-and-go lunches during the week! He eats em plain but with a little extra effort they can actually be made into a legit meal! 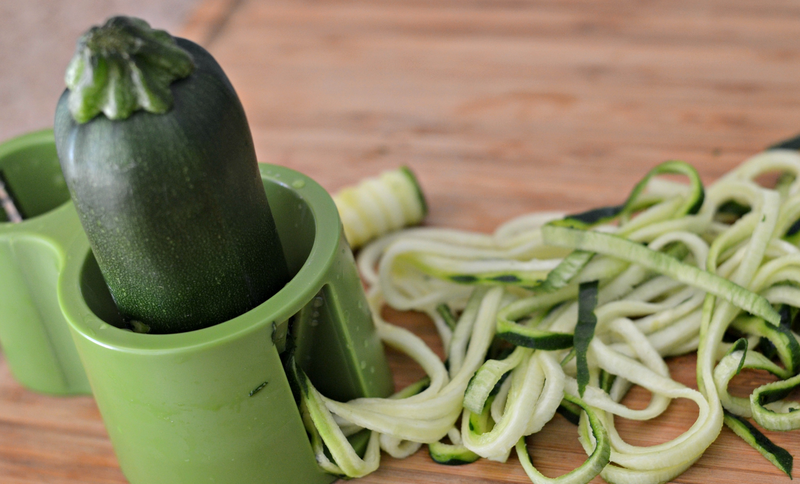 I found my hand-held microplane spiral cutter at Bed Bath & Beyond, but I checked Amazon and there are many different kinds – I usually like to opt for ones with triple digit customer reviews & high star ratings 😉 But this does the job and makes the zucchini into “noodles” or zoodles to be more precise (come on that must be a hashtag by now). 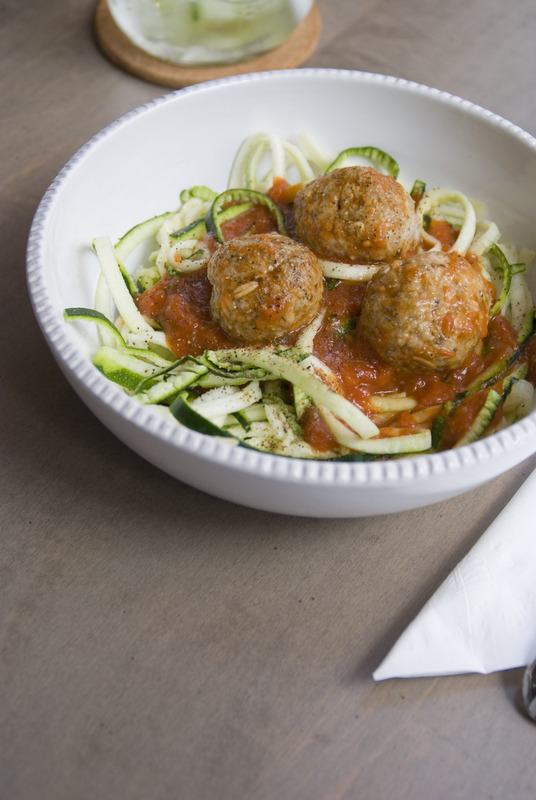 Try this recipe out for a healthy spin on an old favorite – I like to throw freshly chopped onions in with the sauce too! 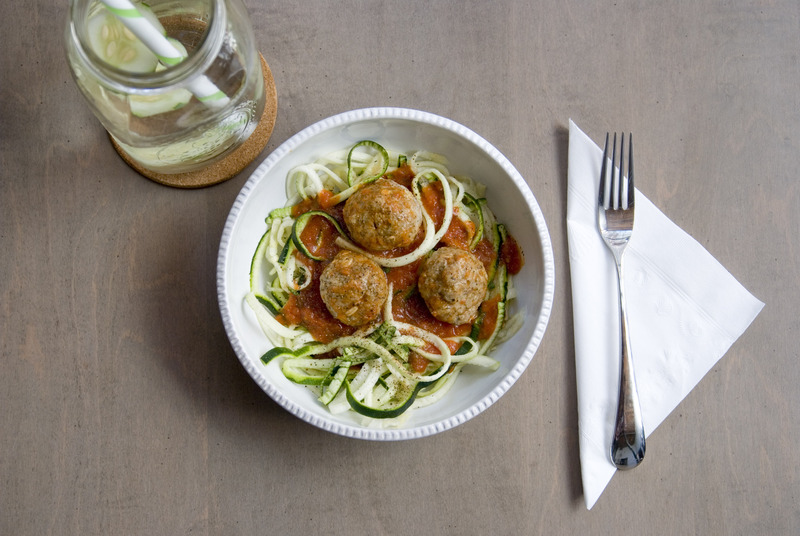 Place all the ingredients in a large bowl and mix together well with a spatula or your hands shape the mixture into your 16 to 20 golf-ball sized meatballs and place them in baking dish. Bake for 7 minutes. Turn the meatballs, then bake for 8 to 13 minutes longer or until no longer pink (I usually bake for 11 -12 mins longer). 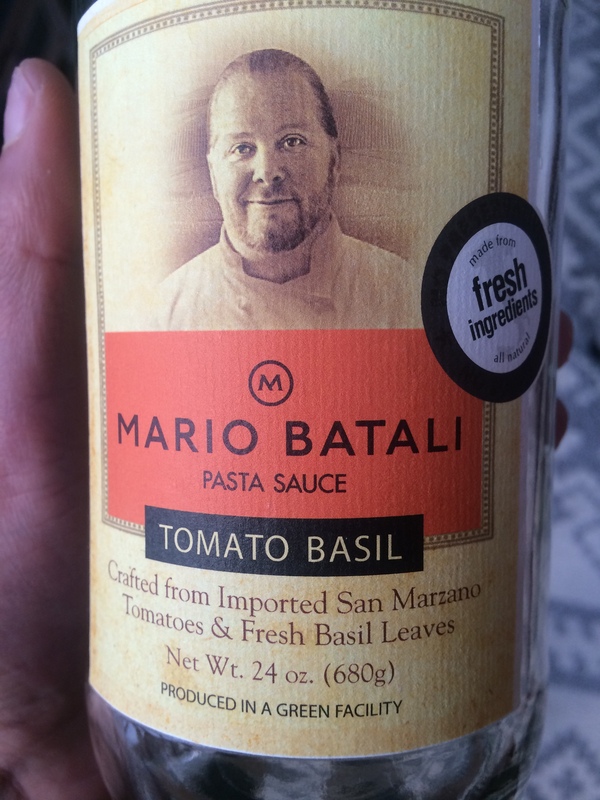 If you’re short on time and want a great low-sodium option pasta sauce I recommend Mario Batali’s Tomato Basil Pasta sauce. 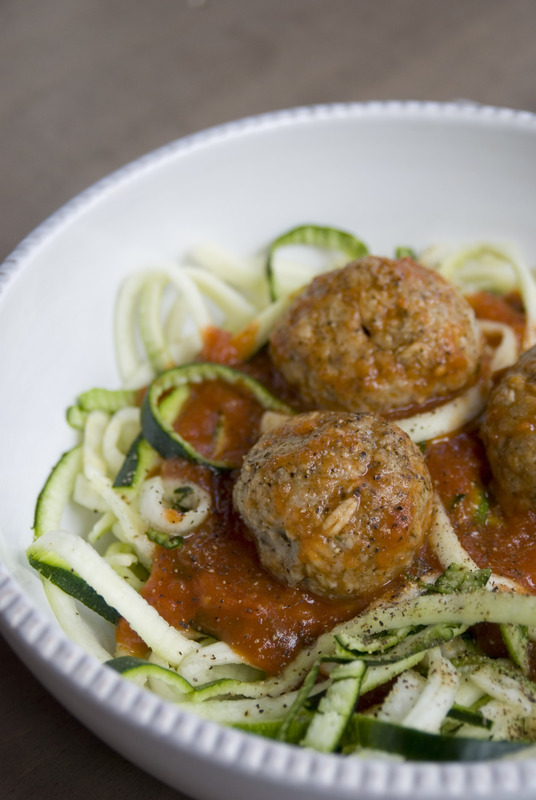 It only has 7 ingredients (I’m a fan that I can pronounce all of them) and no preservatives! Energy Bites * Pre OR Post-Workout Snack!